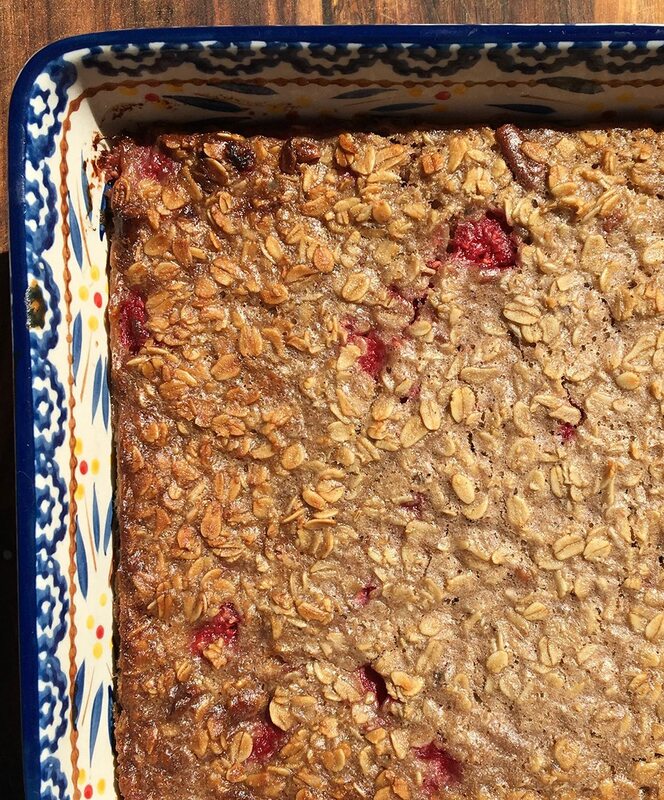 This recipe for Raspberry Pecan Oatmeal Bake is one of my friend’s and family’s all time favorites. It is so easy to make and is perfect for brunch, cut into bars as a snack, or warmed up and topped with ice cream or whipped coconut cream for dessert. For those of you with food allergies or sensitivities, it is vegan, gluten-free, and refined sugar-free. 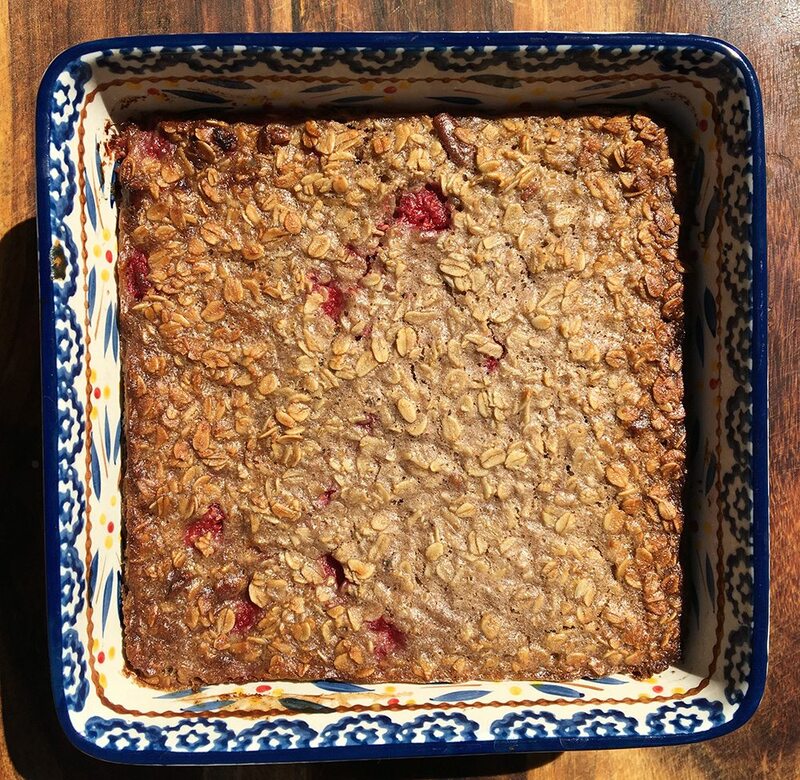 I love the addition of raspberries in this – a fruit I have been eating all summer long here in California. 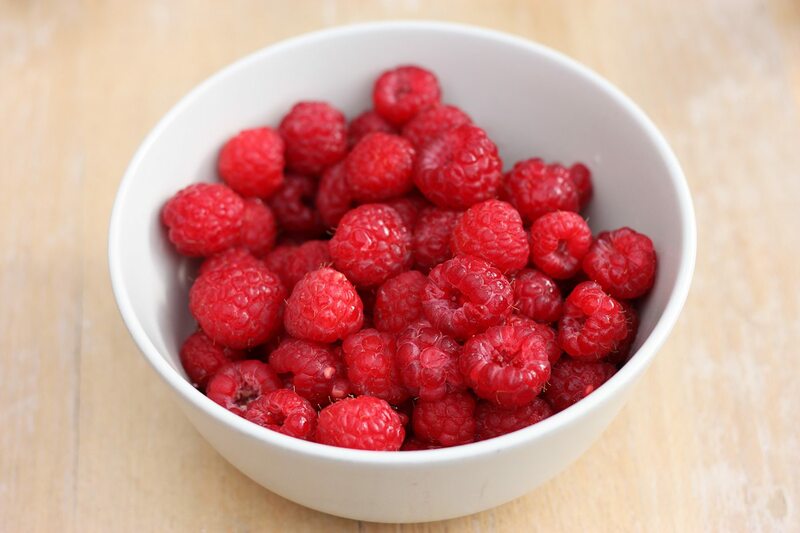 Raspberries are an excellent source of vitamin C and manganese. They have an incredible array of antioxidants and anti-inflammatory phytonutrients such as quercetin, resveratrol, and gallic acid. Raspberries have been studied extensively to assess their anti-obesity and anti-cancer properties and the results are promising! Because of their low sugar content, and high fiber to sugar ratio, berries are usually one of the few fruits allowed on a low sugar specialty diet. Preheat the oven to 375 degrees. Grease the inside of a square 8-inch baking dish. In a blender, blend the first 7 ingredients (coconut milk, bananas, maple syrup, coconut oil, cinnamon, salt, and vanilla extract) until smooth. Stir the blended mix with the oats and pecans. Then gently fold in the chopped raspberries and pour into the baking dish. Bake for about 40 minutes and enjoy! How do you enjoy your raspberries? Get our Anti-inflammatory Foods Shopping List now! My son would gobble this up. I may add some blueberries and cashews to the mixture as well. I love raspberries in my smoothies but I need to try this right now! This looks sooooo good. I can’t believe there isn’t any egg or other ingredient for it to rise. Could I add an egg or even use aquafaba? Yes! Aquafaba or egg would be great and would give it some extra protein. The consistency will change a bit but still be good. I can’t have bananas. Any suggestions for substitute? Applesauce maybe? I think applesauce would be great! Please report back on how it goes.